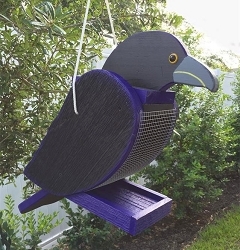 Dispense three different types of bird treats at once! 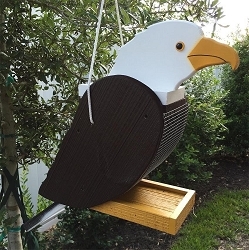 Quality construction built to last! 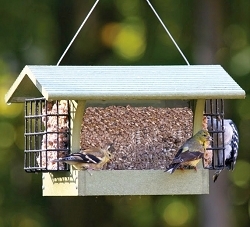 Entice colorful songbirds to your yard with the Chapelwood Triple Compartment Feeder. Beautiful Spring Green powder coated finish. Drainage holes to help keep seed fresh. 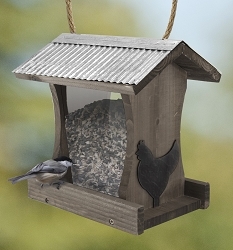 Quick release lid. 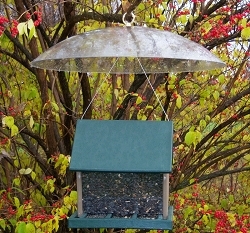 Metal dome roof helps protect the seed from the elements. 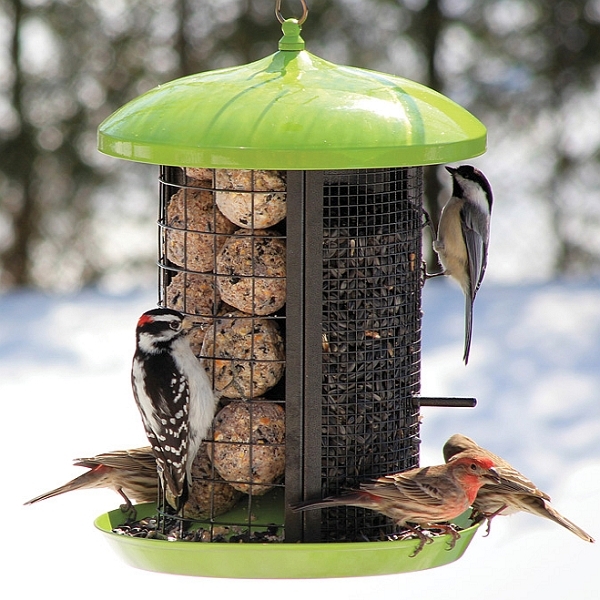 3 Tubes offer diverse feeding options: Suet balls, mixed seed & black oil sunflower seed. 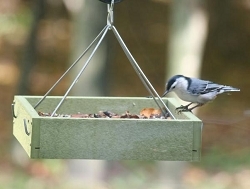 Feeder holds 7 small suet balls, 1.5 lbs. 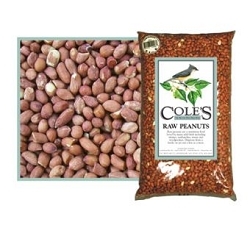 mixed seed, and 1.5 lbs. 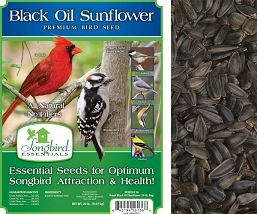 sunflower or shelled peanuts. 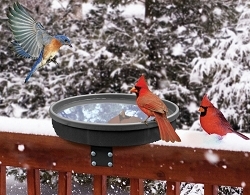 Birds will appreciate calorie high foods, such as suet balls throughout the colder months of the year to provide them with extra fat stores to survive the cold winter nights. 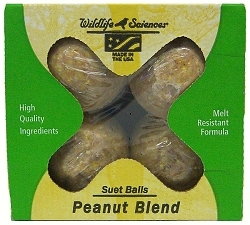 Use our no-melt suet balls for year-round feeding. 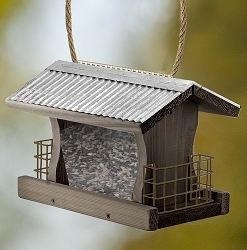 This feeder with its multitude of feeding options attracts a wide variety of songbirds. 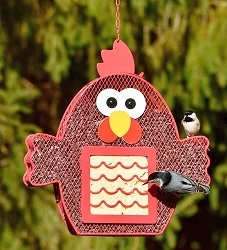 Birds that use this feeder: Chickadees, Finches, Flickers, Nuthatches, Siskins, Titmice, Woodpeckers, Wrens and other clingers.